On Earth, where there is water, there are living things. We know that Mars had water a long time ago. But did it also have other conditions life needs? To find out, NASA sent the Curiosity rover to Mars. Curiosity is the largest robot to ever land on another planet. She is about the size of a small SUV. 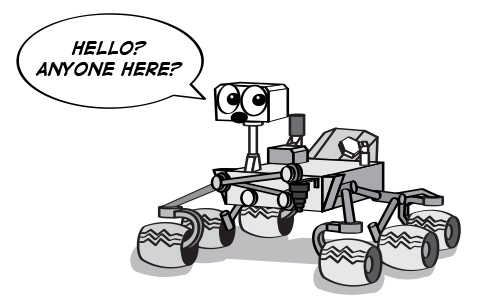 Because Curiosity is so big, she also has bigger wheels than the previous rovers. This helps her to roll over rocks and sand without getting stuck. However, even on a long driving day, she still only travels about 660 feet. At 20 inches in diameter, Curiosity’s wheels are much bigger than the wheels of previous rovers. Curiosity landed in Gale Crater. This crater is special because it has a tall mountain in the middle. The mountain has many layers of rock. Each layer is made of different minerals from different time periods. These minerals could tell scientists about the history of water on Mars. 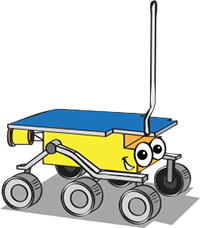 The rover uses many scientific instruments to study the rocks in Gale Crater. 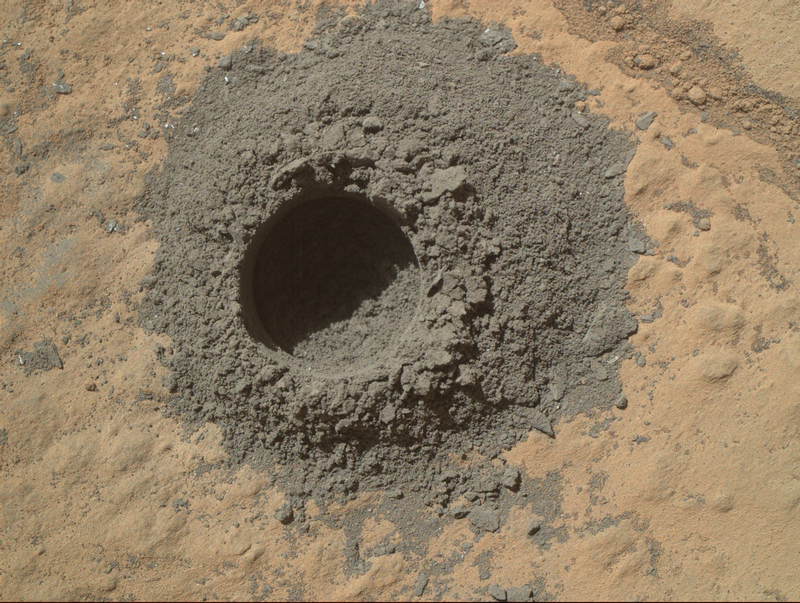 Curiosity used her drill to make a hole in a rock that once was mud at the bottom of a lake. One of her other instruments studied the powder drilled from the rock. 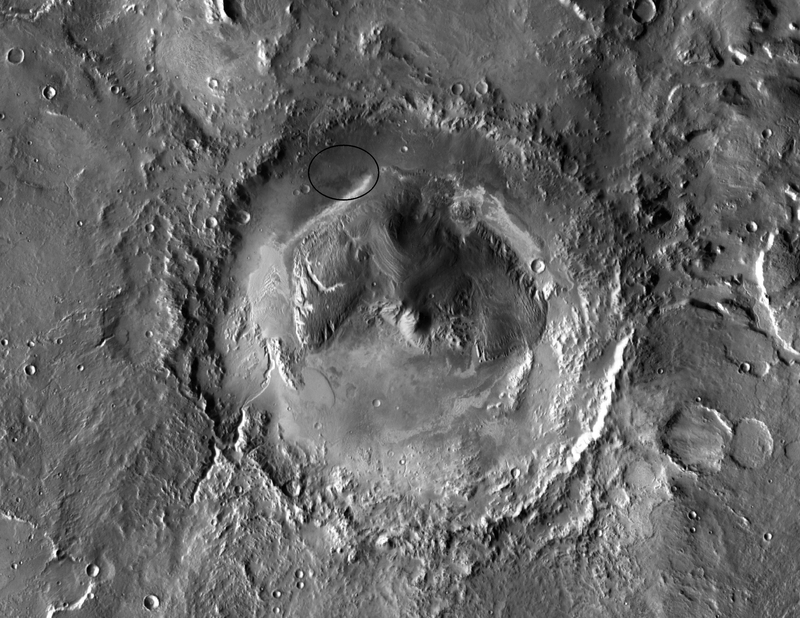 This information helped scientists learn that the Gale crater had ingredients that ancient life would have needed to survive. 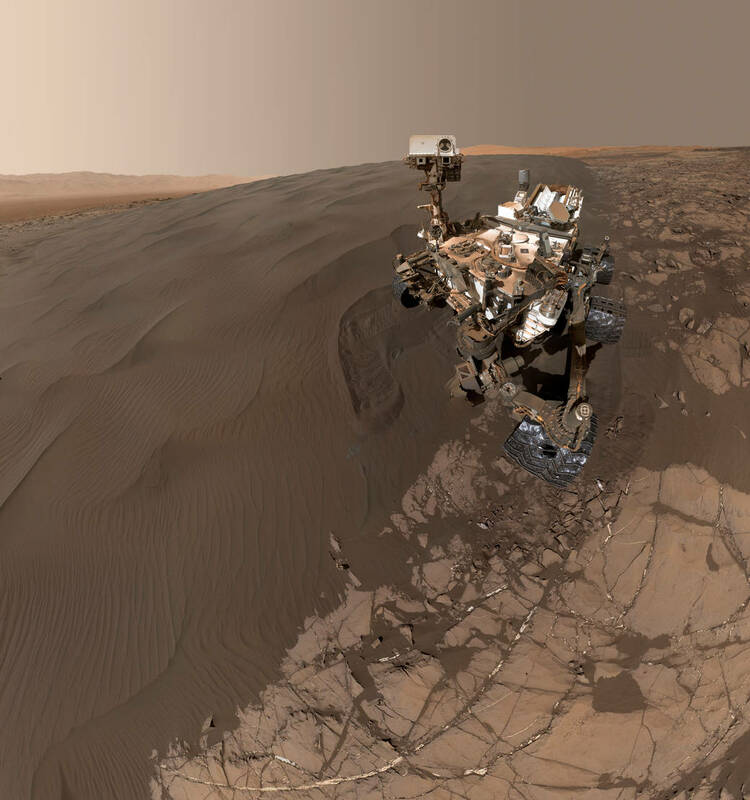 Scientists sent Curiosity to Mars to measure lots of other things, too—including radiation. Radiation is a type of energy that can come from the sun. It travels in high-energy waves that can be harmful to living things. Curiosity found that Mars has high, dangerous levels of radiation. 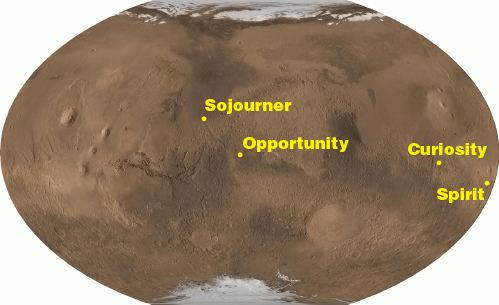 NASA will use Curiosity’s radiation data to design missions to be safer for human explorers. Curiosity brought 17 cameras with her to the Red Planet—more than any other rover. She uses some of her cameras to take photos of her journey. Cameras also act as Curiosity’s eyes, helping her to spot and stay away from danger. One of Curiosity’s cameras—at the end of her 7 foot long robotic arm—even acts like a sort of “selfie stick.” She can hold the camera two meters away and take a selfie to send back to Earth!